That’s Thomas Jefferson‘s rough draft of the Declaration of Independence. The Declaration hasn’t changed since July 4, 1776, but the Constitution built on it has been amended thirty-three times, so far. The thirteenth of those abolished slavery, at the close of the Civil War, seventy-seven years after the Constitution was ratified. These vendors are becoming our feudal lords, and we are becoming their vassals. 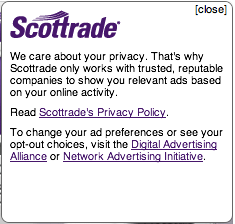 Good as they are, ad and tracking blockers are still just prophylactics. They make captivity more bearable, but they don’t emancipate us. For that we need are first person technologies: ways to engage as equals on the open Net, including the feudal Web. The Respect Network has gathered several dozen founding partners in a common effort to leverage the Respect Trust Framework into common use, and within it a market for VRM and services that help out. I’m involved with two of those partners: The Searls Group (my own consultancy, for which Respect Network is a client) and Customer Commons (in which I am a board member). It’s called the Respect Connect button, and it embodies all the principles above; but especially the first one: We will respect each others’ digital boundaries. 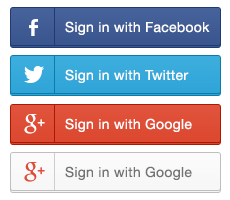 This makes itthe first safe social login button. You can also self-host your own personal cloud. I just got back from a world tour of places where much scaffolding work is going up around this and many other ways customers and companies can respect each other and grow markets. I’ll be reporting more on all of it in coming posts. Meanwhile, enjoy some photos.